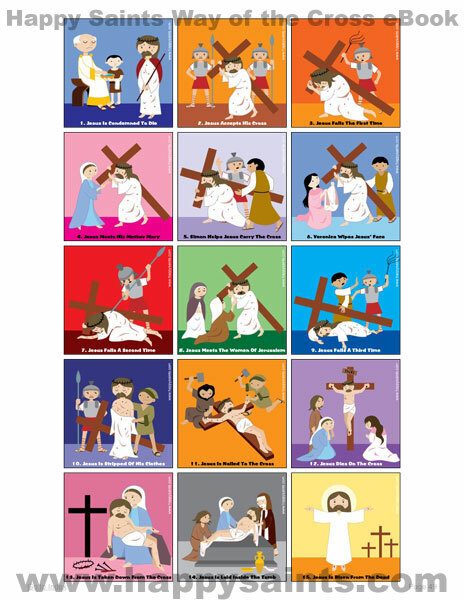 Preview of e-poster taken from the Happy Saints Way of the Cross eBook. Gives a good overview of all the Stations artworks in the printable PDF ebook. This poster is also available in large print.